Network Tasman Fibre is joining forces with thepacific.net to provide high-speed fibre at Nelson’s upcoming NetHui event on 13 October at the Rutherford Hotel. NetHui are a series of events around New Zealand organised by InternetNZ designed to inform and inspire participants about internet-based issues. The programme for each event is driven by topic suggestions from the local community. Those put forward for the Nelson NetHui event include ‘Privacy, big data and social media’ and ‘Digital citizenship in education’. “This is the first time NetHui has been held in a regional centre so it’s important the event is supported by businesses like ours,” says Network Tasman Fibre’s Andrew Stanton. The event will be live streamed for those who cannot physically be present so it’s important that the connectivity is strong and reliable, says InternetNZ’s Chief Executive, Jordan Carter. Andrew Stanton says that Network Tasman is delighted to contribute to an event that demonstrates the benefits of super high-speed connectivity and help enable thepacific.net to provide a great service to everyone attending. 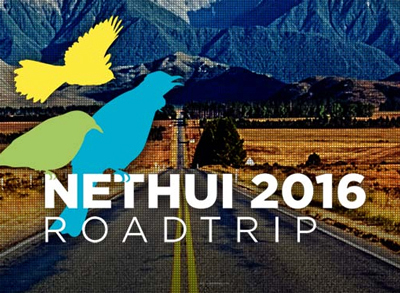 “It would be a shame to see NetHui taking place without the connectivity needed to showcase the benefits of engaging productively with the internet,” says Andrew. Network Tasman Fibre (supplier of thelink ethernet services) is a business division of Network Tasman, the region’s consumer-owned electricity distribution company. Network Tasman Fibre provides high-speed fibre services to a range of customers including select residential subdivisions, medium to large businesses and schools in Nelson Tasman and the Marlborough regions.